Take out the trash, eat your broccoli—who needs moms, anyway? Nine-year-old Milo (Seth Green) finds out just how much he needs his mom (Joan Cusack) when she’s nabbed by Martians who plan to steal her mom-ness for their own young. 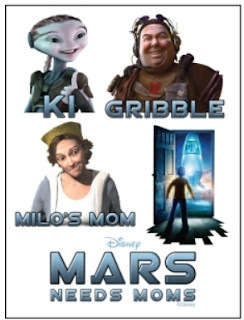 Produced by the team behind “Disney’s A Christmas Carol” and “The Polar Express,” “Mars Needs Moms” showcases Milo’s quest to save his mom—a wild adventure in Disney Digital 3D™ and IMAX® 3D that involves stowing away on a spaceship, navigating an elaborate, multi-level planet and taking on the alien nation and their leader (Mindy Sterling). With the help of a tech-savvy, underground earthman named Gribble (Dan Fogler) and a rebel Martian girl called Ki (Elisabeth Harnois), Milo just might find his way back to his mom—in more ways than one. To celebrate the release of this movie Disney is giving one lucky reader a Mars Needs Moms prize pack. The prize pack includes 2 shirts (one adult, one youth - we will try to accommodate sizes) and a 3 pack of tattoos. 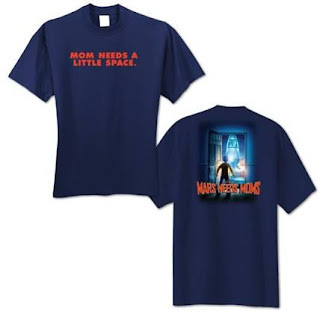 To enter all you need to do is "Like" Mars Needs Moms on Facebook. And then come back here and leave a comment. This is going to be an extremely quick giveaway - it ends on March 11th at 11:59PM EST. So tweet, Facebook or blog about it and you'll get an extra entry for each task done. Just remember to leave a separate comment for each (and a way to contact you in case you win!). Ooh I want to win this one!! 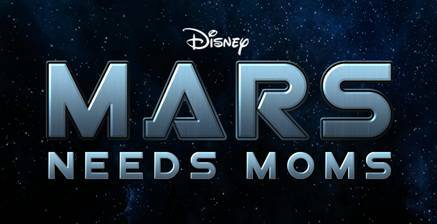 I liked Mars needs Moms on fb! Great giveaway Lesley!